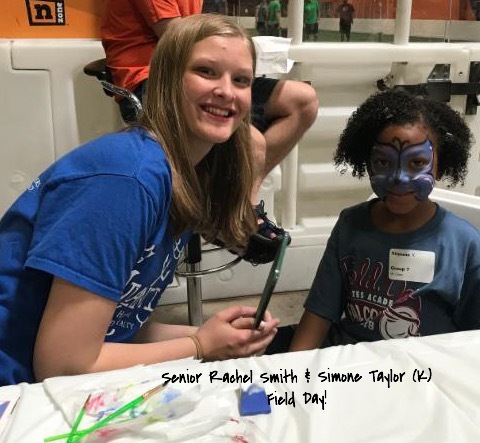 In this month's Fountain , we share some of our favorite end-of-the-year school events, and we highlight some of the many volunteers in our midst! 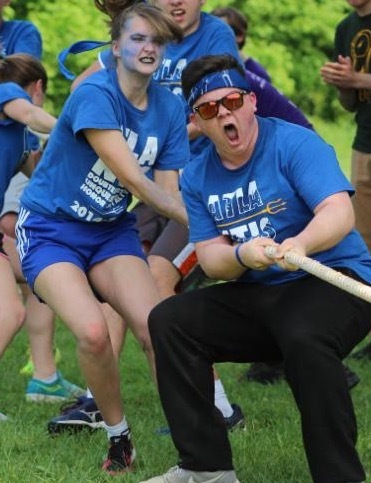 AFA's Upper School Houses (Atlantis, Rome, Athens, Ilium) compete for the House Cup each year. This involves five different competitions designed to highlight different gifts and talents within the student body. 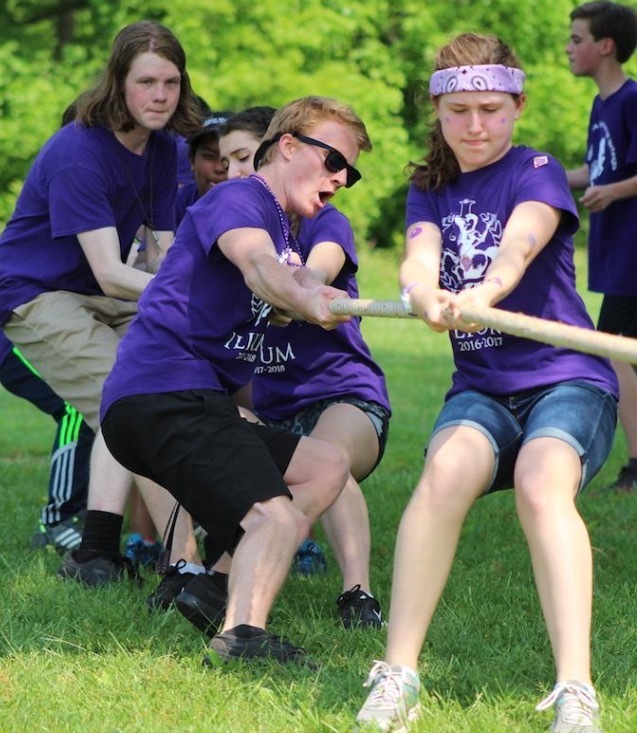 ﻿The Olympics is the final competition of the year, which includes soccer, dodge ball, and tug-of-war, the grand finale! Rome wins this year's House Cup! 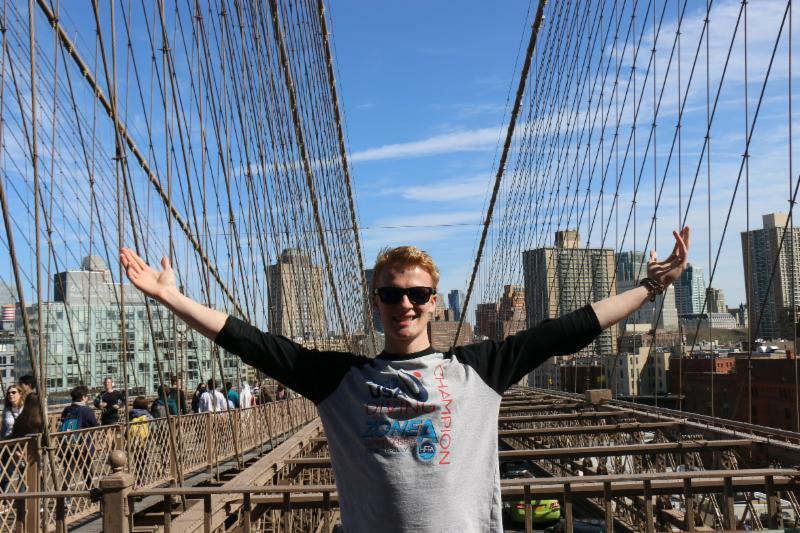 This is our second year of a new tradition at Ad Fontes to take the Seniors on a 3-day trip to New York City. 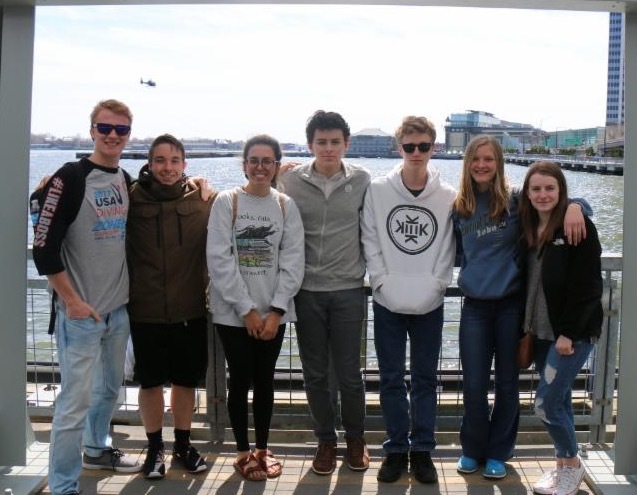 Seniors celebrate their experience together visiting historical and cultural sites and art museums, and attending a Broadway show (Aladdin this year!). 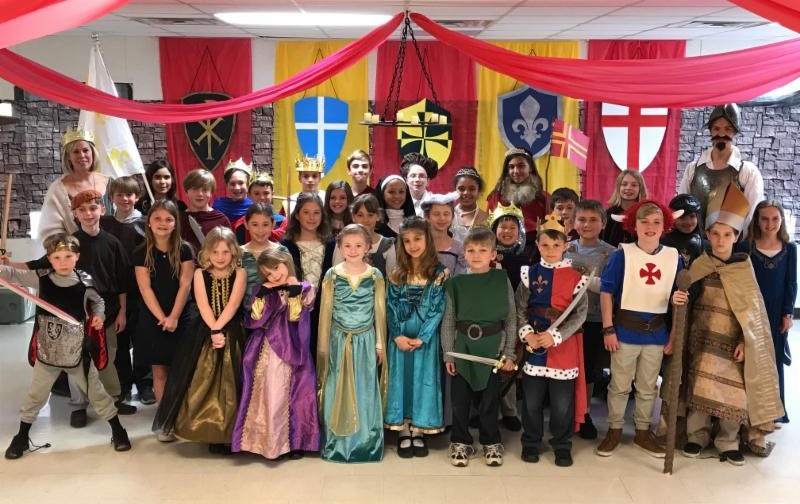 Many parent volunteers help history come alive for the Lower School by providing themed food and decorations on Feast Days. During Living History Days, students essentially become the prominent historical figure they have researched. These presentations usually coincide with special Feasts like the Greek or Medieval Feast. Lower School Principal Janet Cooper explains, "History feasts bring to life the most unique and enjoyable features of the history period students are studying. Children dress up in costumes and step back into history as they enjoy food, games and crafts of the era." 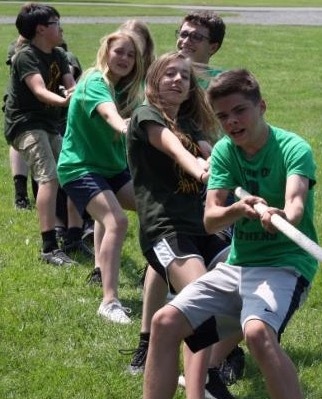 Field Day at the nZone has become one of our all-time favorite days! Thank you to event coordinator Scott Shortmeyer and all the volunteers, especially AFA dads, for working this event! 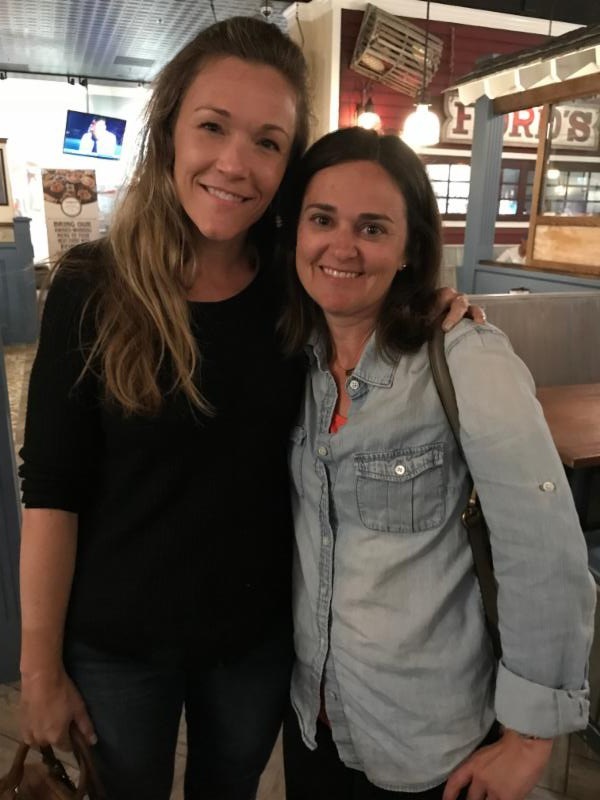 We want to thank Parent Association President Mandy Van Roy and Vice President Allison Shortmeyer for their leadership and service to Ad Fontes Academy. Mandy has served as President for two years and Allison served four years on the leadership team before serving an additional two years as Vice President. We also want to thank Amanda Smedley who has served our school in many ways. For the past three years, she has served as the Upper School Coordinator. We sincerely thank these parents for serving at Ad Fontes! AFA is grateful for the time, energy and leadership from these individuals. ﻿Thank you for coming alongside the school and enriching our students' lives! Recently at the annual Ad Fontes Sports Banquet we honored the accomplishments of our student athletes. We would also like to acknowledge some of our Volunteer Coaches. By giving their time and offering their experience, our students have enjoyed athletic opportunities that otherwise would not have been possible. Thank you to Coach Cuffee and Paul Cameron for coaching the Boys' Basketball and to Chip Ashton for bringing back Girls' Basketball to Ad Fontes! 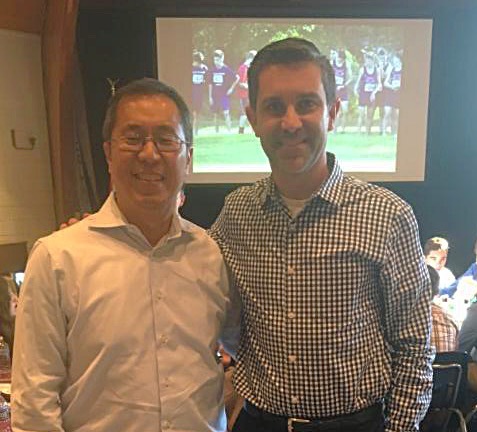 We also thank Cross Country Coach Scott Shortmeyer, Assistant Coach Roberta Van Meter and JV Volleyball Coach Michael Kim for enriching our students' school experience through athletics! While we have been able to highlight some of our volunteers this month, there are many more unnamed among us--room parents, feast coordinators, weekly lunch servers, field trip drivers, chaperones, photocopiers, event organizers, etc. The list seems endless, but you know who you are! We are truly grateful for your service to Ad Fontes Academy. Thank you! 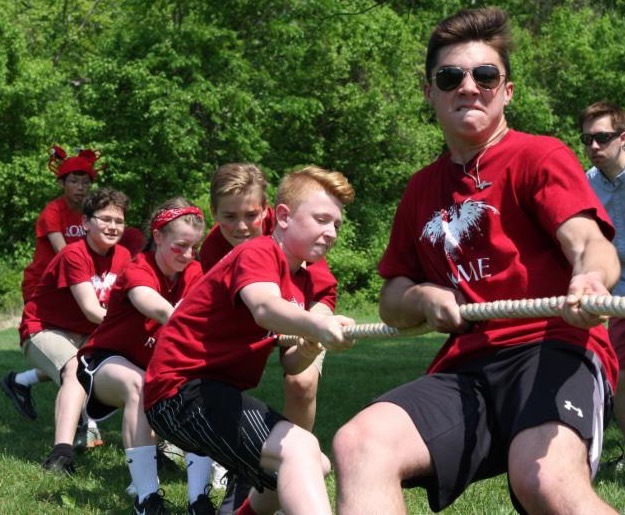 If you are interested in learning about ways to serve AFA this upcoming school year, or if you simply want to get more involved, please contact President Dean Luckenbaugh. June's Fountain will highlight Ad Fontes Academy's Graduating Class of 2018. Until then, read up on Senior Molly Meere, the second student to graduate from AFA having begun as a Kindergartener. 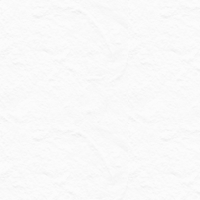 Thank you for reading our newsletter, The Fountain! We hope we have provided content that gives you a deeper connection not only to the mission of AFA, but also to the people that make up this great school community! A gift by June 30th will be counted in this fiscal year's giving. 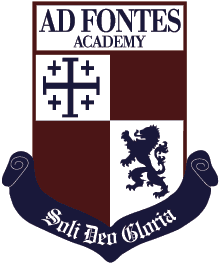 We value and appreciate your support to further the mission of Ad Fontes Academy.